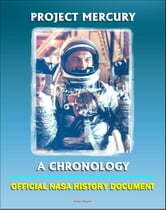 This official NASA history document - converted for accurate flowing-text e-book format reproduction - is a comprehensive account of the events of Project Mercury, America's first manned spacecraft. On Feb. 20, 1962, an Atlas rocket successfully carried Glenn and the hopes of an entire nation into orbit aboard Friendship 7, a flight that ushered in a new era of space travel that eventually led to Americans walking on the moon by the end of the 1960s. Glenn was soon followed into orbit by colleagues Carpenter, Schirra and Gordon Cooper. Their fellow Mercury astronauts Alan Shepard and Virgil "Gus" Grissom flew earlier suborbital flights. Deke Slayton was grounded by a medical condition until the Apollo-Soyuz Test Project in 1975. From the preface: "It is remarkable that the original goal of Mercury, that of orbiting a man in space and returning him safely to earth, was accomplished in just 3 years after the prime contract was awarded. This element of the program's success is especially significant when compared to development efforts for more conventional manned aircraft in which development and qualification periods of 5 or more years are not uncommon. The rapid pace with which the critical program milestones were completed was possible only through the dedicated efforts of many thousands of people. Because of the success in meeting prescribed technical objectives and the reliable operation of the spacecraft and launch vehicle systems it was possible to eliminate certain qualification flights early in the program and broaden the original scope of Mercury into the recent and final manned 1-day mission of 22 orbits or 34 hours duration. The valuable experience gained in the design, development, and operation of the Mercury spacecraft, as well as in management of such a program, has already resulted in a profound effect on the Gemini and Apollo projects and will continue to do so to an even greater extent. 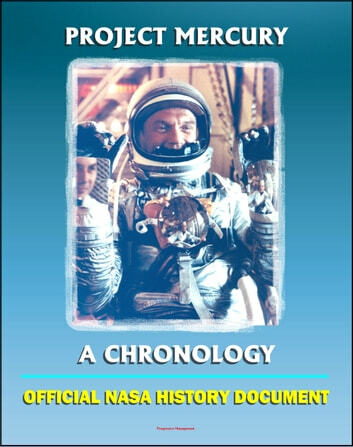 This document presents a brief but accurate chronology of important events throughout the Mercury program and attests to the rapid pace at which the Mercury development and operation were carried out. Many of the critical decisions which were later significantly to affect the direction of the program are mentioned, and the manned flights, from the first sub-orbital mission of May 5, 1961, to the final orbital mission conducted on May 15 and 16, 1963, are documented. Project Mercury is now history, and only time will allow a complete assessment of its full impact on this nation's technology and contribution in expanding the space frontier. But it can be stated without reservation that this project will be remembered as one of the outstanding technical achievements that this country has contributed to world history."